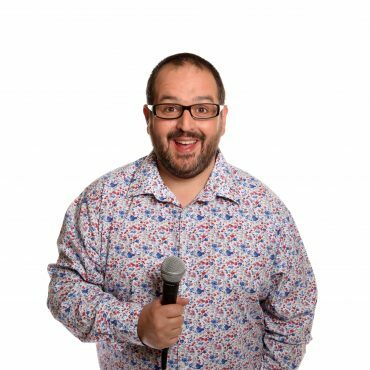 Justin Moorhouse One of the brightest stars working on the British comedy circuit today, Justin Moorhouse is one of the most talented stand-up comedians, writer & actor - not to mention an award-winning radio presenter. Hailing from Manchester, his cheeky northern charm and larger than life personality built him a great reputation on the circuit in his early days. Moorhouse went on to support the likes of comedy giants Jimmy Carr, Peter Kaye and Johnny Vegas very soon after winning the BBC New Talent Award. Moorhouse regularly sells out his own shows, touring across the UK and beyond. He will also be recognisable to comedy fans as ‘Young Kenny’ from the hugely successful award winning programme ‘Phoenix Nights’- The one who had his face permanently painted as a Tiger! Justin is now today very much in demand in within corporate entertainment sector and has made numerous TV appearances. Moorhouse is also a popular voice on radio, having his own shows and presenting on BBC Radio Manchester, BBC Radio 4, BBC Radio 4Extra & BBC Radio 5 Live.